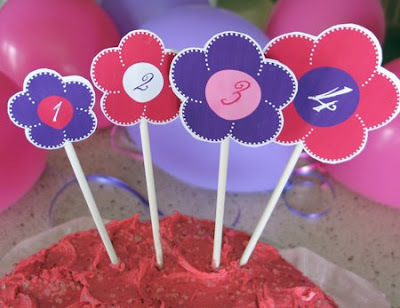 Inspiring Ideas with artist Jeanne Winters: More Pink & Purple Birthday Party Goodies! 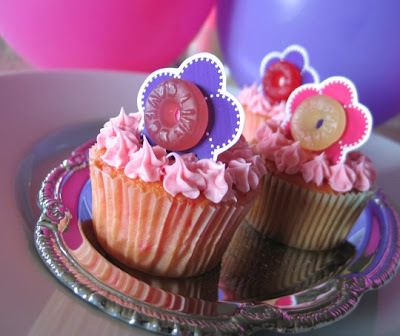 More Pink & Purple Birthday Party Goodies! If you saw my recent birthay favor post, you know my little princess just turned 4! Here are some more pics from the pink and purple festivities. Adorable, enjoy every moment as your little princess turns into a beautiful princess like my daughter who is turning sweet 16 next week. For her birthday she and 9 friends, all wearing dresses of course, are taking a limo ride to "The Cup Cake Boutique" to learn and decorate their own cupcakes. Wholesome girly fun for 16 year olds! You make Martha Stewart look like a sloth. LOL. These are beautiful. Happy Birthday to your princess! I SO admire your creativity and I love you, my dear friend in CHRIST! You are incomparably unique and beautiful, dear friend and mother. Everything is so cute! And, those cupcakes look amazing!!! So adorable! You definetly gave your little girl a party to remember. 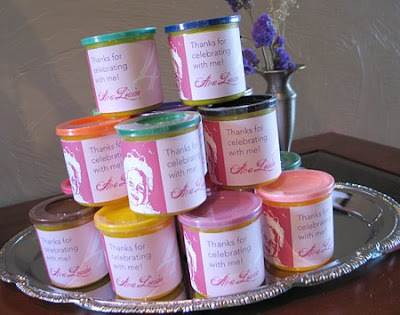 I love the playdough idea! Oh! All that stuff is really cute! I like the gummi savers as the flower centers. Hope your little princess had a wonderful birthday! Those cup cakes are too cute! cute! my daughter turns 4 in july so you've given me some good ideas! Thanks for stopping by my blog. 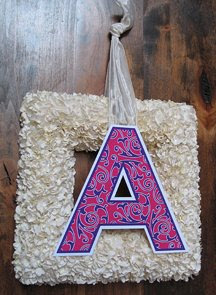 I'm loving yours, especially this pink and purple party stuff! I may be copy-catting you! LOL!